How would you feel if owing a car would mean only paying the monthly charges...and not even the fuel charges?? Sounds interesting, isn't it? 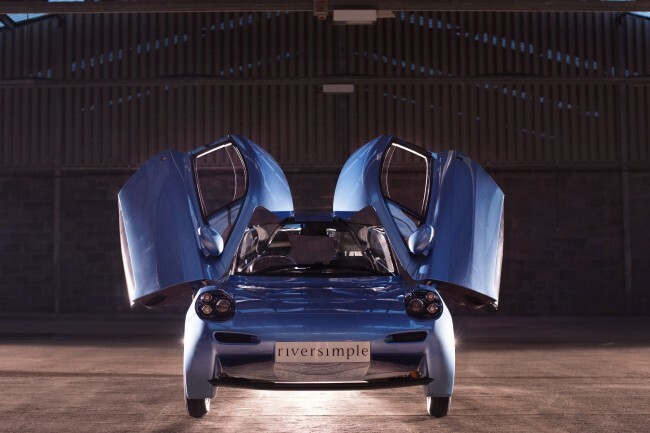 UK based startup RIVERSIMPLE is trying to achieve this with RASA. It is a fuel-cell powered car which the company will produce in mass in the future. 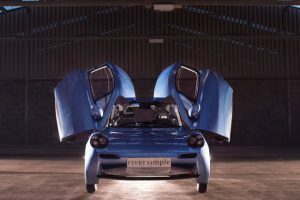 Riversimple is working hard to bring a new business model for RASA. In this particular model, anyone who wants the car has to pay monthly charges which are almost equal to the monthly maintenance cost of an average vehicle. The company will take care of all the maintenance, insurance & fuel charges. That means, they will not be selling the car as a product, but mobility or transport as a service to its customers. The RASA team calls it as a whole system design approach. 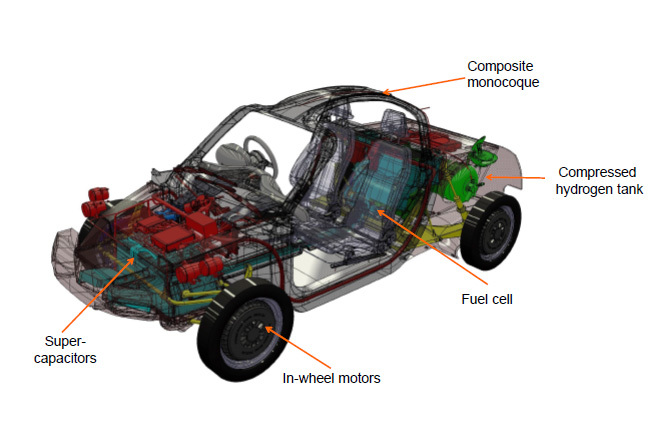 RASA comprises of a low powered hydrogen fuel cell, an electric motor on each wheel and supercapacitors. The body of this vehicle is made up of lightweight composites. The prototype of RASA weighs only 580 kg out of which chassis has only contributed only 40 kg. Motors installed are capable of recovering almost 50% of kinetic energy while braking. All of these factors help in delivering astonishing efficiency. Furthermore, the company claims that the production prototype should deliver 250 mpg - i. e. 106.28 km/l with a range of 482kms. And most importantly with ZERO emissions. It is able to gain top speed of 96.5kmph. RASA can accelerate from 0-88.5 km/h in 9 seconds. The company is also building hydrogen fuel stations with local tie-ups. During the local daily commute, the fuel can last for a week as claimed by the manufacturer. It will take only 3 minutes to refill at the hydrogen fuel station which would be similar to that of diesel or petrol stations. Most important- there will be no charge for it. Furthermore, the car uses the most advanced hydrogen fuel cell technology. The fuel hydrogen is fed through the proton exchange membrane in fuel cells which then combines with the oxygen to form water and electricity. The electricity then transfers to the electric motors which sit on the wheels. RASA is a networked electric car. It doesn’t store electricity in any form. However, it flows almost in any direction and in any path except back to the fuel cell. 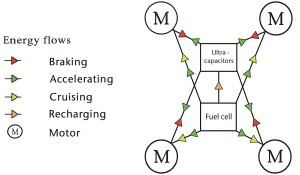 This means that the electrical system networks the energy around the car. And then, it can freely flow across all possible paths and directions. All this eliminates the need for large batteries. Instead, it needs a supercapacitor that is big enough to cater the cruising speed. Besides, the regenerative braking fulfills the energy requirement for the acceleration. Undoubtedly, RASA will be revolutionizing the mobility in this world! What you must know about Johammer J1? First Feel: 2015 KTM Duke 390 ……!